As Lead Designer for Inspiration Interiors Design Studio, J.R. is focused on the design, drafting, material selection and sales of the project, as well as the technical complexities of the install. A firm believer that the creative process of design is open and available to everyone, J.R.’s work imprint relies on her experience of art, travel, and cultural exposure. With an MFA in Fine Arts and a BFA in Fine Art/Design, J.R. has a design history heavily influenced by modern art and installation sculpture. She taught in the fibers program at the University of Hawaii at Manoa for 4 years after graduation, and has been working in the design industry for over 14 years. She currently teaches Kitchen & Bath Design at Chaminade University and looks to her students to help shape the future kitchen design industry. J.R. is also active with the NKBA Aloha Chapter, serving as the President for 2014-15, Chapter Representative, VP-Professional Development, and VP-Communications and is dedicated to advancement of the kitchen and bath design community and the design industry as a whole. As a catalyst to the next generation of design, Lyndee Watanabe brings her creative skills in AutoCAD, Revit, and Sketch-UP to the Inspiration Interiors Design Studio. Her ability to create a virtual world of design renderings allows clients to visualize and move through their new space, clearly understanding the layout, finishes, and work flow. These design tools of the millennial generation, make Lyndee’s contributions to the team invaluable. 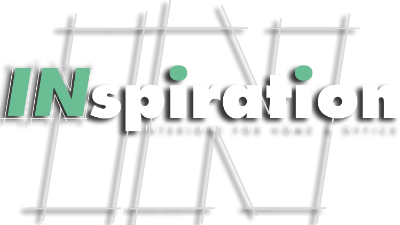 With her BFA in Interior Design from Chaminade University, Lyndee was recruited from the high caliber of work and exceptional talent she presented during the Senior Exhibit shown at Inspiration Interiors in the Fall of 2014. Lyndee also served as the Secretary for ID-PRO, an Interior Design club that connects students to design professionals.